2016 marked a year of change for National Express, a change in direction for their communications that asked people to ‘take a different view’ and truly consider National Express Coach as a viable method of transport. 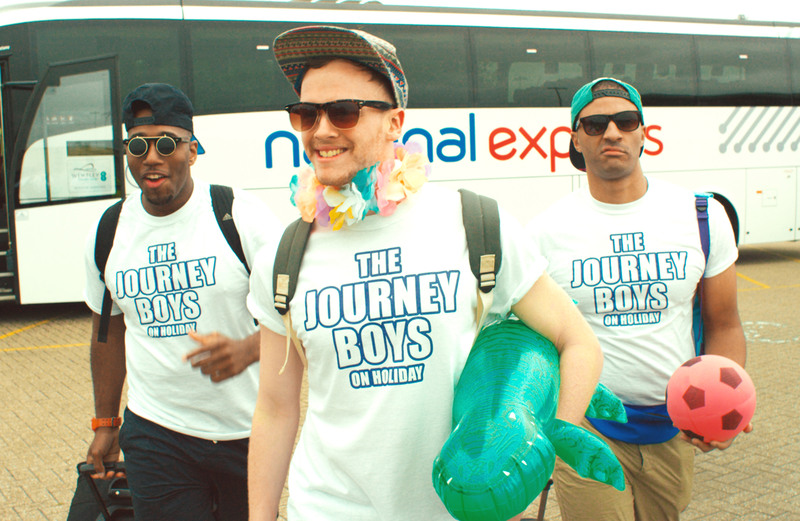 Our Journey Boys social video series did just that, and so much more. From previous campaign results and findings from social listening, we knew that we needed to deliver content that was emotive, relatable, short, and featured males. So, we delivered six short films that covered a range of scenarios. Check out our videos for festivals, holidays, Christmas and more below. people reached across Facebook, Twitter, YouTube and Instagram. Not only were all the films funny and relatable, but each film was posted in-line with big events (e.g. the festival film was released in-line with the announcement of major festivals – Glastonbury, Reading and Leeds, V Festival and BoomTown), while the airport films were released at the start of the summer season when people would be thinking about travelling and going on holiday. Posting across organic and paid social media followed suit, with paid advertising copy being further tailored to account for gender differences and the specified 17-24 age group. Overall the campaign has been highly effective. The results exceeded all expectations and objectives, with the numbers continuing to grow day-by-day, which just goes to show what the power of social media, the power of video, and the power of what trying something new can really do!